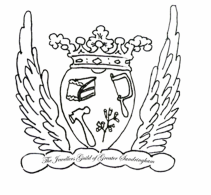 The Jewellers Guild of Greater Sandringham have been producing Overview every two months or so since March 2011. What started out as an email newsletter to all the jewellers we knew in Aotearoa New Zealand and Australia, is now being sent to over 300 jewellers, galleries and institutions worldwide via email and through our Facebook Group page. We talk about contemporary jewellery; what we see, what we do, and how we live with jewelleryness. You can read every issue of Overview by selecting them from The Overview Newsletter tab above. We hope you enjoy them.